New innovations have lead to the development of this the new MASSONA 3800 personal GPS tracker. This can be used as a private eye on your dear ones. The MASSONA 3800 has a long lasting battery that increases stand-by or “sleep mode” by up to 10 days. Another feature about the MASSONA 3800 device is that it has a built in “man-down” alarm which sends message of an emergency. Not only does the MASSONA 3800 have the ability to track, but with its built in microphone and speaker, it can carry out two way audio, and activate a listen-in feature. 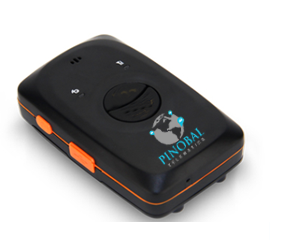 Having no dial pad and only two simple buttons it is one of the most user friendly GPS tools on the market today. The MASSONA 3800 has an IP65 rating which also makes water resistant. The MASSONA 3800 is small in size, but it is packed with features that can be found only in larger GPS trackers. The versatility of the MASSONA 3800 has made it very popular, and to this day it is still one of the top 10 GPS personal trackers sold in the market. Truly the MT90(V4) is small in size, but it is packed with features that can be found only in larger GPS trackers. The versatility of the MT90(V4) has made it very popular, and to this day it is still one of the top 10 GPS personal trackers sold in the market today.